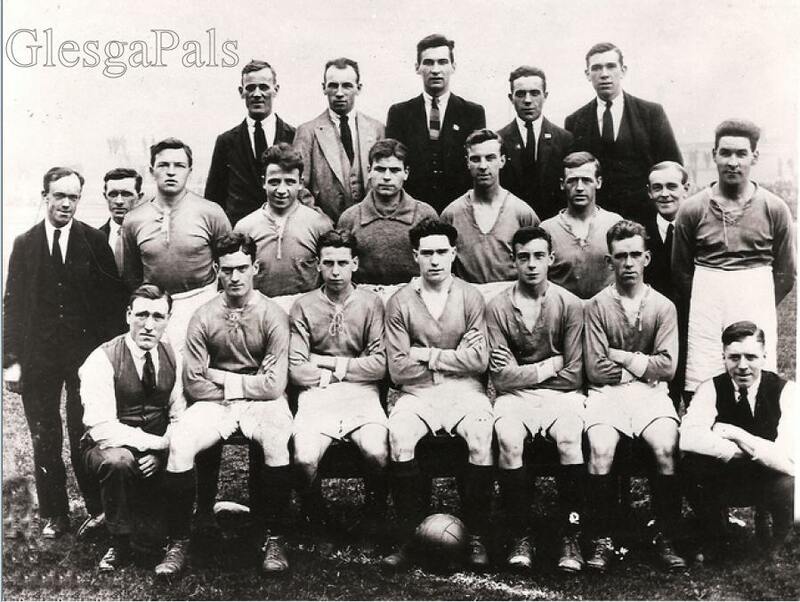 The team played at London Road the name of the park was New Barrowfield home of Bridgeton Waverley Juniors which was stolen from the team in a compulsory purchase order by Glasgow Corporation in the early 1960's for a supposed housing development. Today I was at a funeral purvey in the adjoining Celtic Club and Sellick were training out on the park...40 years after the purchase order was enforced...local political corruption or whit? Massive redevelopment of the old Westthorn Park being New Barrowfield...who gave the plannng permission for the sale of redevelopment of a public park in Glesga?. I will get back to you as I have just sent in a request to the Freedom of Public Information that Glasgow City Council have just advertised in the newspapers...I look forward to their explanation..
You know religion can sometimes have it's funny side as well as its serious side. 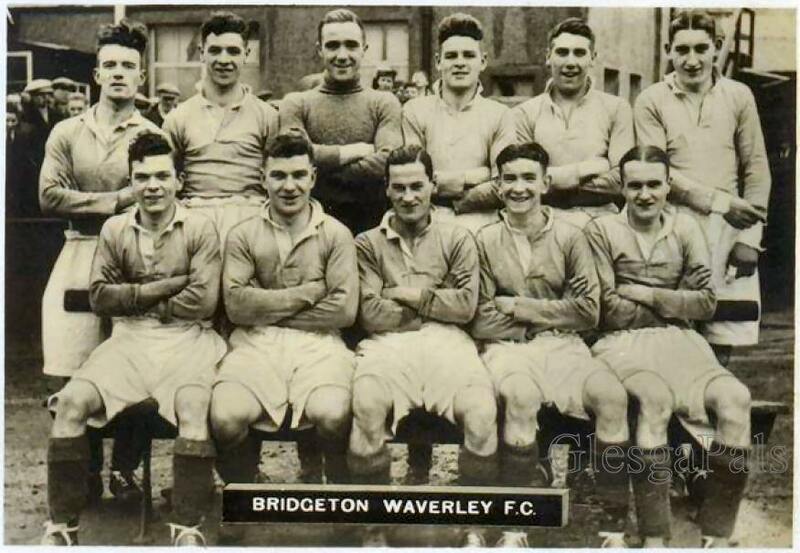 I was thinking about some of the antics the players of my old fitba team , Bridgeton Waverley Amateurs, got up to when I ran the club. 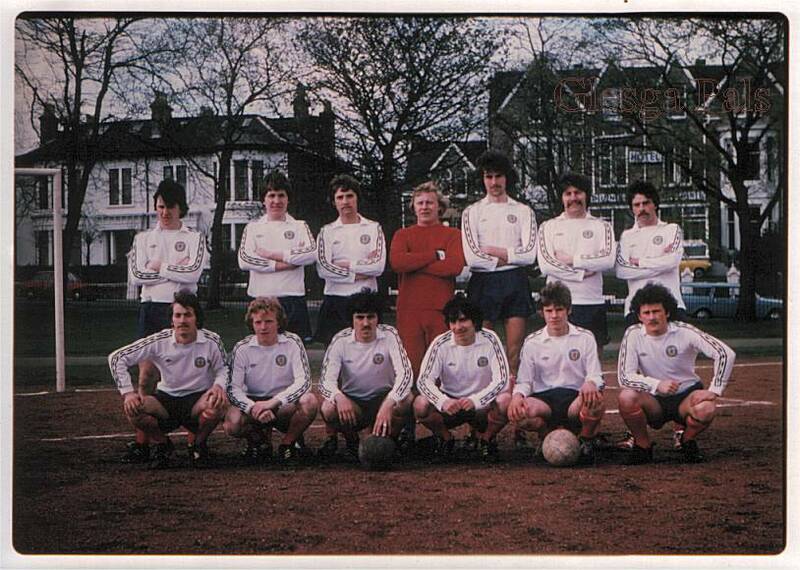 I was reminded of the time when we were drawn away to Oban Saints in one of the cups in the Scottish Amateur League. We hired a van from a company in Kirkintilloch for the Saturday morning my wee mate Peter Duffy was driving the bus and didn't want to pay for the insurance waiver which was about £1.50 per day. However, I paid it and that was the end of the matter. Anyway , we were to meet at my house in Whitby Street as I had my leg in a plaster as I had broke my it three weeks previously in another cup tie. So come the glorious day everyone turned up...it just happened to be the day that the Pope visited Ireland...about 1979! We were all ready and prepared to go when I realised that we didn't have the team lines so there I was hobbling away back up the stairs wi' the crutches to get the team lines. Just as I entered the living room there was the 'auld anti-christ' himself kneeling down and kissing the tarmac on the runway. I thought to myself 'that's all we need that auld so and so coming err here causing trouble'. Off I goes back doon the stairs wi' the crutches and into the van and informs all the boys that "the Pope must be bevvied as the stupid auld so and so is lying steamin oan the runway of some airport in Ireland". Needless to say despite our name , Bridgeton Waverley , we were of mixed religions and I got hit on the heid wi' empty coke cans and bits of rolls and sausage etc. Our club captain was a cracking big guy fae the Calton big Jimmy Devlin and a devout catholic and he told me "you'll regret saying that about the Holy Father Charlie". "Aye right Jimmy I don't believe in all that bells and smells and holy waater stuff it would suit you lot better to read yer bible and not yer catechism" said I. Off we went full of laughs and carry on as we drove up the Loch Lomond road and then onto the road to Oban. Just as we came to a bend just by Tarbet a Caledonian MacBrayne bus came rushing around the corner in the opposite direction and we had to swerve to avoid it. Our back wheel got caught in the ditch at the side of the road as Duffy tried to control the van as we headed right towards a massive big rock with yours truly sitting watching his life flying past in front of him. As I sat there in the front seat wi' my plaster cast resting on the dash board all I heard above the screams and din was oor Jimmy given it " Hail Mary full of Grace...and giving it the auld ma hat , ma money , my tea & sugar and my tabacca routine...blessing himself. The side of the van was ripped apart from bonnet to tail and the side windows went for a Burton. We finally stopped...which was more than can be said for they Teutchters Caledonian MacBrayne's....I am glad to say that none of us were injured apart from big Jimmy's pride as we gave him pelters for his wee Hail Mary song and dance act! We managed to continue on our journey to Oban and played the game and as usual I was in charge of the 'lucky bag' which the boys would put all their money and rings and watches into for safe keeping. Just as we were about to kick off the ref stopped the game and made all the Catholics take off their crucifixes and holy medals...and guess who got the job of looking efter them. I am telling ye... I thought that I'd robbed Carruth's Grotto in the High Street wi' aw the bits and pieces that I had in my possession. Anyway things were going bad for us and with twenty minutes to go we were 2 nil doon and getting nowhere fast. Just at that moment in time I put my hand in my pocket and pulled out one or two of the players 'coathangers' alais 'flying Freddies' and started to show them to the two subs who were Rangers supporters and we had a good laugh wi' comments "It's suppossed to be Jesus ...he looks more like Jimmy the Joiner to me" etc'. Just at that Big Devlin ran down the wing and roared at me " McDonald whit ur you doing" I just answered "nuthin Jimmy" but my face gave me away as I crammed the crucifixes back into my pocket... the big man was beelin'. As per usual at Oban there was always a crowd of around several hundred watching and we were getting pelters from the home support. The usual comments that you learn to live with if you played for Bridgeton Waverley...ya Orange bassas , yer no in Bridgeton noo , where's yer Billy Boys noo...and all that mince....truth be told the majority of us stayed in Parkheid. Then all hell broke loose as one the boys went for a throw in the locals started their usual crap by kicking the ball away as our player tried to retrieve it. One of the lads dived in and grabbed the ball as the locals gave him a bit of hassle and said "f- off back tae Brigton ya Orange bassa". Our Raymond blessed himself and spat on the teutchter's face and told him in no uncertain terms " I am a better Catholic than you'll ever be " and took the throw in. The whole place erupted as the locals went mental wi' us and tried to attack our player....everything was calmed down by the referee and the game continued. Within two minutes of the fracas we scored to make it two one...and then we equalised with two minutes to go. Well you could imagine the scene.. the players were all diving on top of each other and there was me hobbling about on my crutches along wi the two subs and the sponge man screaming and bawling at the locals the words sheep and poe nagging were involved if I remember correctly. Big Devlin came rushing over to me at the end and lifted me up off my feet and hugged me and shouted in my ear "God Bless the Pope". We had earned a replay back in Glesga' the following week and before the players left the dressing rooms I told them all to put their rings , watches , holy medals and CRUCIFIXES in the 'lucky bag' as I wasn't looking efter them. Needless to say we were winning one nil with two minutes to go and then Oban Saints equalised which took the game into extra time and we lost three one...we scored two own goals! Big Devlin blamed me because I didn't have the 'good luck charms' on my possession....I have often wondered what might have been had I took charge of the lucky bag that day. Would the team have played any better or were they just wanting to see me squirm as their wee bits of idolatry burnt holes in ma hauns!!! As they say it is a funny auld game Saint and fitba' is fitba'...so I guess I'll never forget the day the Pope fell doon the aeroplane stairs in Ireland. And by the way I was never so glad in my life to have taken out the insurance waiver for a mini-bus...the guys face when we took it back on the Sunday was a picture!